Dr. Richard Johnson is a trainer with the Dolan Consulting Group LLC (DCG) who has a wealth of experience working in the criminal justice field, and serving in churches of various sizes. His criminal justice field experience includes having served as a military police officer with the U.S. Air Force, and Air National Guard. He served as a probation officer with the Illinois 16th Judicial Circuit, where he supervised primarily domestic violence offenders. He served as a trooper with the Indiana State Police, patrolling Northwest Indiana, and as criminal investigator with the Kane County State’s Attorney Office in Illinois where he investigated domestic violence and child sexual assault cases. He has taught as a criminal justice professor at multiple universities, teaching numerous courses related to crime, crime prevention, and policing. Dr. Johnson’s knowledge of the inner workings of churches is also extensive. He grew up in a church environment with his father, and several other extended family members, being lay ministers. In adulthood, he has continuously been an active member in the churches he attends, having served as an usher, preschool-aged childcare worker, board member, and small group leader. He spent several years as a group facilitator for a faith-based divorce recovery program, and as the director over faith-based support groups for individuals struggling with addictions. 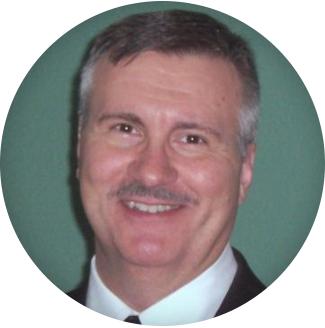 Dr. Johnson has been associated with denominational and non-denominational churches. He has been a volunteer for churches with congregations ranging in size from 300 to 3,000, and served on the oversite board for a small church plant involving about a dozen families. In addition to these experiences, Dr. Johnson gained further insights through being married to a wife who served for 14 years as a pastoral staff member at large churches in the Milwaukee, Atlanta, and Chicago areas. Dr. Johnson holds a bachelor’s degree in criminal justice and public policy from the School of Public and Environmental Affairs (SPEA) at Indiana University, a master’s degree in criminology from Indiana State University, and a doctorate in criminal justice from the University of Cincinnati. To date, he has authored more than 50 articles in peer-reviewed research journals, and a dozen articles in magazines, regarding various criminal justice topics.